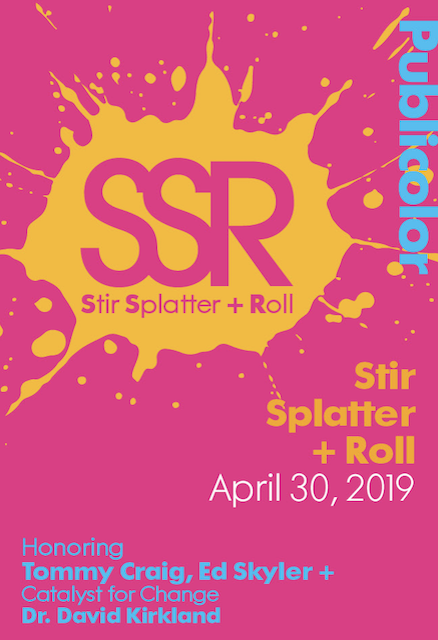 Publicolor will celebrate their 23rd Stir Splatter + Roll Gala on April 30, 2019 at the Metropolitan Pavilion. The evening’s colorful cocktail hour begins at 6pm with 13 painting stations where guests participate with some of NYC’s leading artists, designers, and architects to create customized works of art. Dinner and program, with a special performance by New York based string quartet Ethel, follow at 7:30PM. This year, Publicolor honors Tommy Craig (Hines Senior Managing Director); Ed Skyler (Executive Vice President for Global Public Affairs at Citi and formerly a Deputy Mayor in the Bloomberg administration), and Dr. David Kirkland (Executive Director of NYU Metropolitan Center for Research on Equity and the Transformation of Schools). Dr. David Kirkland will receive the Catalyst for Change Award for his research on a variety of topics related to educational equity.